By Marielle Pariseau in Blog on November 10, 2013 . October 17, 2013—Dental surgery to treat cavities and severe tooth decay accounts for about one-third of all day surgery operations for preschoolers—putting thousands of kids between the ages of 1 and 5 under general anesthesia each year. A new study from the Canadian Institute for Health Information (CIHI) shows that each year roughly 19,000 children have dental surgery. Their condition is so severe that they need general anesthesia, and they are under for an average of 82 minutes. 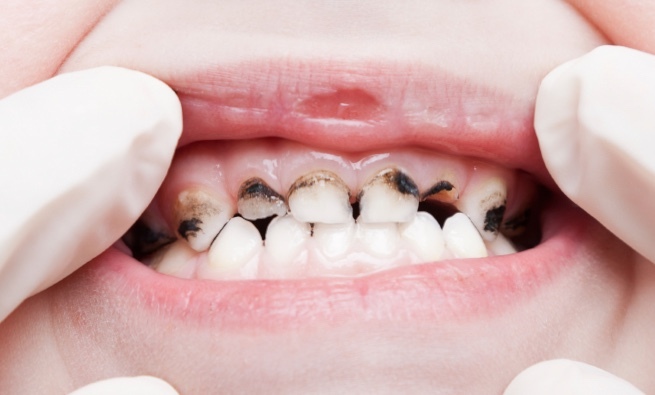 CIHI’s report highlights that tooth decay is a condition that can be halted at any stage through the use of fillings or varnishes, with extractions serving as the last resort. Treatment of Preventable Dental Cavities in Preschoolers: A Focus on Day Surgery Under General Anesthesia found that rates for dental day surgery were close to nine times as high for children from neighbourhoods with high (versus low) Aboriginal populations. Also, rates were almost four times as high for children from the least affluent neighbourhoods, compared with the most affluent ones. Surgery rates were just more than three times as high for kids from rural (versus urban) neighbourhoods. CIHI’s report shows that these day surgery operations cost $21.2 million each year across Canada, excluding Quebec. This represents a fraction of the true cost because it does not include the costs of care providers, such as dentists and anesthesiologists, or travel. Furthermore, the report focuses on surgery that occurred in hospitals, so children who had their surgery in dentists’ offices or community clinics were not included. What can we conclude from such a report? Caries needs to be diagnosed across its entire disease process, especially including its earlier reversible stages. It is all dentists’ responsibility to help the public understand the value of good oral health. There is a need to ensure that low income and disabled members of the public that have access to publicly funded dental programs access them now rather than accessing the system when hospital treatment is required. Water fluoridation is an essential component of the treatment and prevention of caries. You can access the full report from the Canadian Institute for Health Information HERE. You may also download the Power Point Presentation titled “The Treatment of Preventable Cavities in Preschoolers”, from the CIHI web-site HERE. I would like to hear from you. Tell me of the steps you are currently taking or plan to take to make a difference.